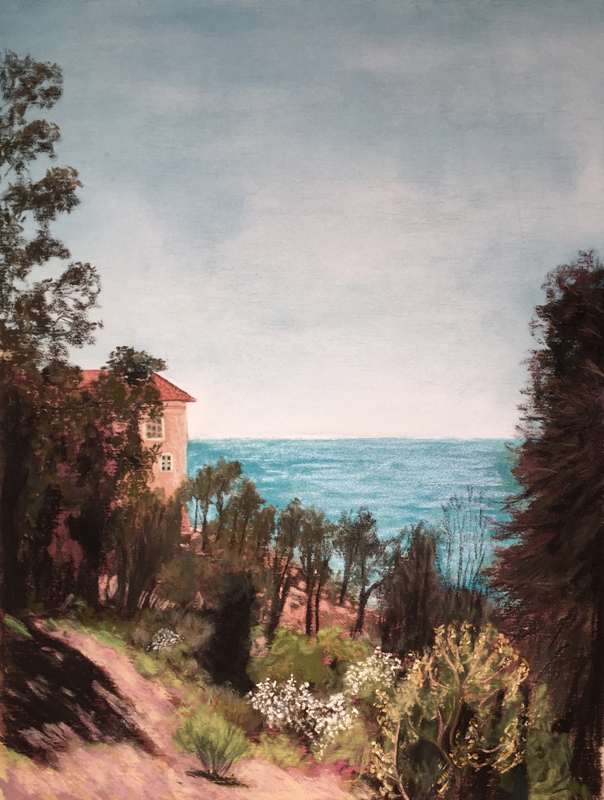 i'm sharing: View from the Villa, pastel painting, 8.5 in. x 11 in. this was inspired by: the view from the Getty Villa. to me, inspiration is: something beautiful that moves you.